I've noticed that my perfect vision eyesight isn't very perfect at night. My left eye gets a little blurry and isn't as sharp as the other one. What does that mean? Shall I soon inherit what is in my family? Are spectacles in my future? As it is I have a pair of off-the-shelf reading glasses. To tell the truth, I don't mind. If its going to happen, let it be. 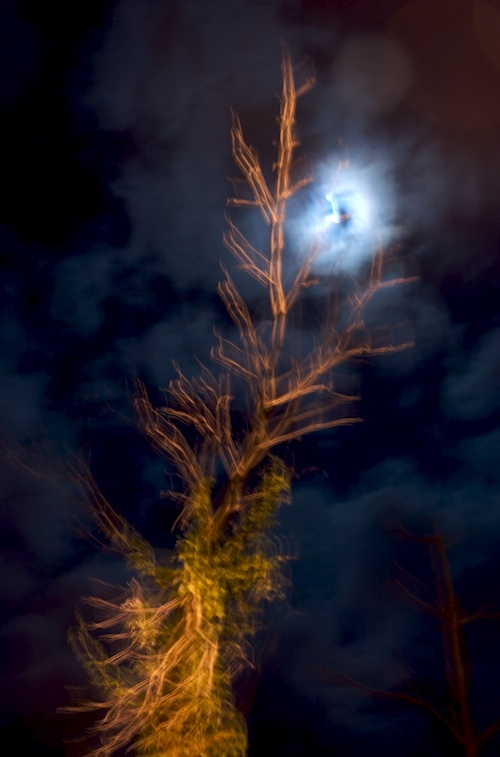 So, here's a blurry but spooky night shot. Blurry because of shaky hands, not blurry eye on viewfinder. It has worked out quite well, a spooky shot. I also agree with harry.